Lyrical/Contemporary is one of the newer styles to the dance scene. It fuses modern, jazz and ballet techniques and is great for expressing emotions or telling a story through dance. It is quite often explained as abstract. Ages 3-6 tend to enjoy this class as often music from their favourite films are used such as tracks from Disney’s Frozen, Beauty and The Beast and Moana. Music is often slow ballads. The class is combined with a warm up, technique exercises and choreographed routines. At this early stage dancers are taught coordination as well as flexibility. 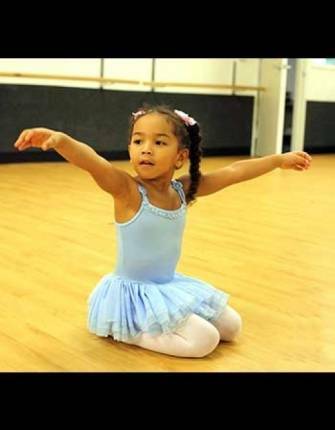 Various subtle exercises will be used to assist your children in stretching, doing the splits and well extended leaps. The aim even at this stage is to introduce techniques such as elevation, pointing their feet and good posture. This genre of dance is very graceful and this flow of movements will be developed from this early stage. For those children who like the idea of wearing ballet shoes and dancing like princesses this subject is recommended. This class focuses on improving on coordination, extension and flexibility in our children. We also ask the students in this class to stretch regularly at home to help with their flexibility. Pirouettes (turns) are greatly worked on at this stage and pose as a vital skill for lyrical/contemporary. These turns can be low, with the use of an extended leg, quick or at a slower speed. These types of spins use a lot of technique such as spotting with your head, pulling up from underneath and coordinating arms. Lyrical/contemporary is often very graceful and various exercises are taught to develop this flow Floor work is also used to enhance strength and mobility. Expressing yourself to the music is widely encouraged by our tutors for children at this level and will enhance their performance ability. Our dancers in our youth stages focus on every aspect of this genre. Flexibility, strength, posture and balance are developed at a higher level. Movements with our youth dancers should aim to be more fluid, continuous, and graceful. Precision and expression to the melody and vocals should be aimed to be executed. A larger use of the space is encouraged with turns travelling further and leaps being higher. Floor work will be challenged with more complexity. Lyrical/Contemporary is usually about telling a story or expressing emotion, therefore as well as perfecting dance techniques subtly facial expressions are also explored. Our youth lyrical/contemporary class caters for those new to the subject as well as those with experience.